The last of the three dances that alternate with the Menuetto in the concluding section of this concerto. Originally for two horns and three unison oboes. 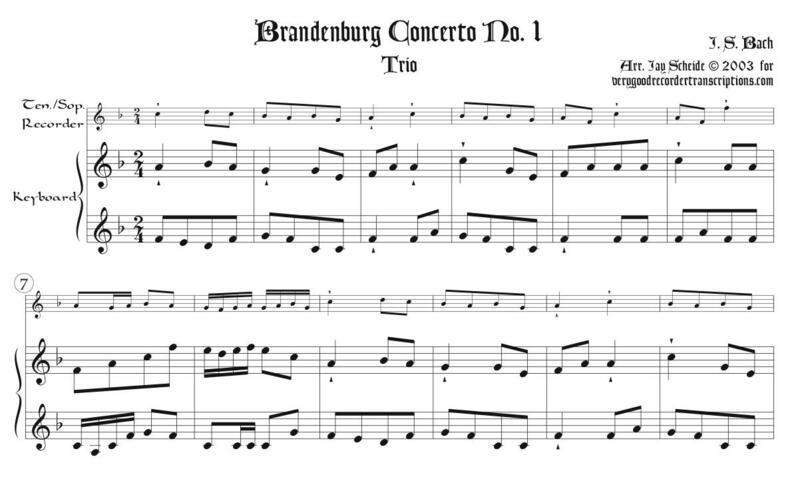 This arrangement, in the original key of F major, switches lines on the repeats (which are written out), so that the recorder begins with the first horn part part, then takes the oboe line. The recorder part stays within the octave-and-a-6th range of a Renaissance tenor or soprano (with no problem low notes) on which this number sounds very dolce. My own preference is for a tenor or soprano made by Jim Bartram, if you are lucky enough to have them.